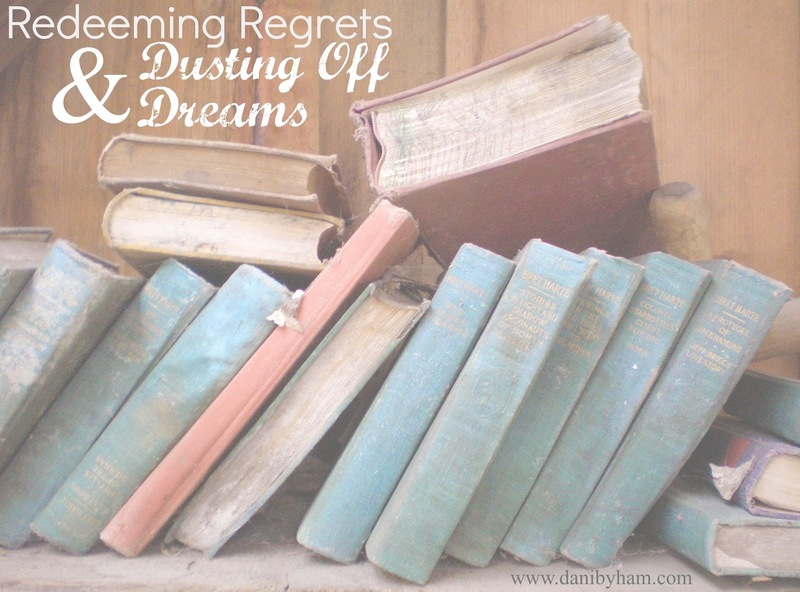 This past year I began dusting off some shelved dreams. I entered a new season- sticking my pinky toe into the waters of being a mom and something else too: a writer. Beginning when my daughter was born 13 years ago, I focused my sole attention on raising, feeding, training, teaching, and cleaning up after her (and later, two more kids). Staying at home, instead of finishing my college degree or pursuing a career, was both a sacrifice and a privilege. I am thankful for the support of my husband and for the time I had seeing our babies grow up right before my eyes. It wasn't all cute, mind you- especially the parental learning curves, the sleepless newborn nights, the periodic loneliness, and the messy potty training- but I never regretted diving into the whole crazy world of diapers and dishes over resume-building or professional success. I do, however, still have some regrets. Aside from embracing motherhood with all of it's priceless memories, I wish I knew that it didn't have to be my ONLY occupation. The new "Mother" title didn't erase my name, my personality, or my God-given abilities prior to holding those precious swaddled infants in the hospital. I came into the mom season with too many ideals and too many rules, even though I was never officially read any list of expectations on child-rearing before taking my baby home to care for. But I, personally, critiqued every single one of my moves with an unhealthy slathering of guilt and internal sermons on selfishness. I regret that I believed that there was only one way to parent. I regret that I perceived that time spent on personal endeavors was self-centered. I regret that I was so hard on myself. I regret that I lived too long without joy or freedom. It seems backwards, I suppose- wishing that I had mothered a little less. 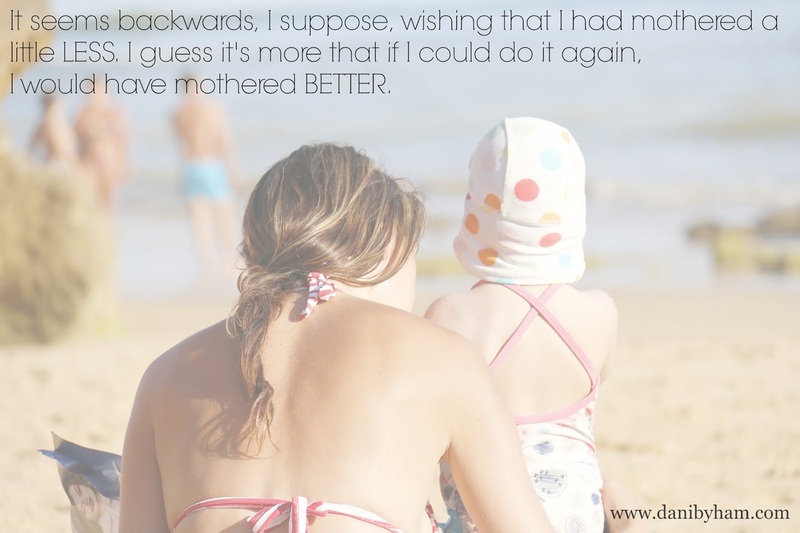 I guess it's more that if I could do it again, I would have mothered better. Because functioning out of my strengths and skills as often or more than I struggled in areas that were, to me, very draining, it may have all balanced out. My ritual disappointment in my housekeeping ineptitude would have been stabilized with some encouragement in my creative leanings. Instead of squashing my natural inclinations, I could have figured out a way to merge my home life with other avocations. The two worlds wouldn't necessarily cancel each other out. I find so much fulfillment when I come home after a lunch meeting of the minds or completing a creative project. It's exciting to share my passions with my family and has been more rewarding than I expected. The best part is realizing that my kids love this side of their mom too. We get to support ALL of our dreams and celebrate inches of progress TOGETHER. We are like those intricate patterns that we love to fill in with colored pencils. The designs catch our eyes because of their bold and colorful complexities- not just a single black line segment on a page. I am a woman, mother, wife, friend, sister, leader, follower, daughter, volunteer, writer, artist, laundress, cook, teacher, reader, and a dozen other things. And all of those shades of me are elements of some kind of unfinished work of art. When God said that His creation of me "was good (Genesis 1:27, 31)," I don't think He was referring only to one of my roles or capabilities. I am ALL of the lines and ALL of the colors! And as an artist, which is one of the many roles I ascribe to God, I imagine that it brings him much pleasure to see His flowers bloom and His people live vibrantly. I am finding that God redeems regrets. He restores dreams. 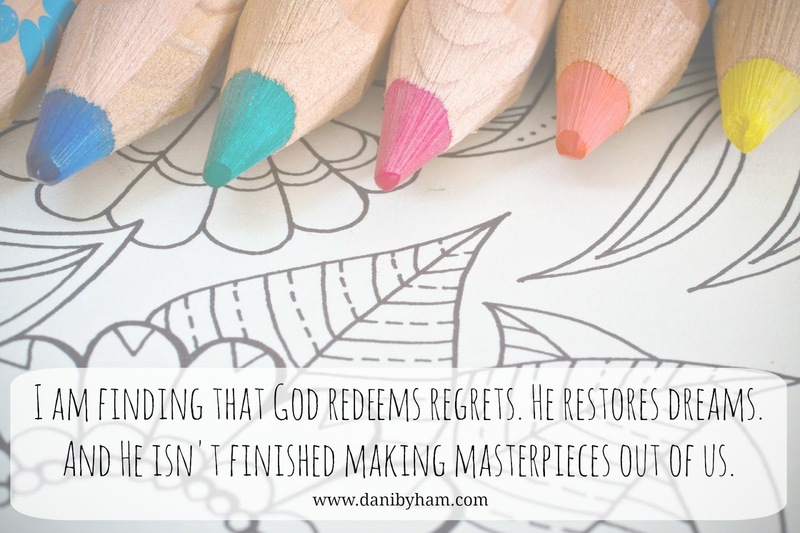 And the most exciting truth is that He isn't finished making masterpieces out of us (Ephesians 2:10)! Moms, if you have ever felt expected to cram yourself into some kind of one-size-fits-all box, remember that God has made us all unique. He planned it that way (1 Corinthians 12). The "abundant life (John 10:10) doesn't include forcing yourself into someone else's version of motherhood. Bring out all of your colors and unpack those dreams! "Thank you for making me so wonderfully complex! Your workmanship is marvelous- how well i know it (Psalm 139:14)!" Have you set aside some dreams for a season? What makes you come alive?